I believe I have mentioned, I own a lot of shoes. As in, a lot-a lot. At last count, somewhere over 50 pairs. But each and every pair, for me, has a story. Some have long histories and have been with me for years and years. Others, they are just beginning their first adventures on my feet. 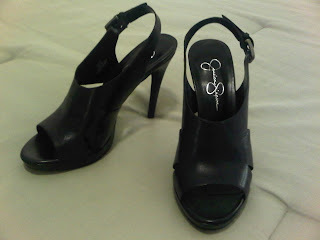 Today, a picture-story of both kinds of shoes. 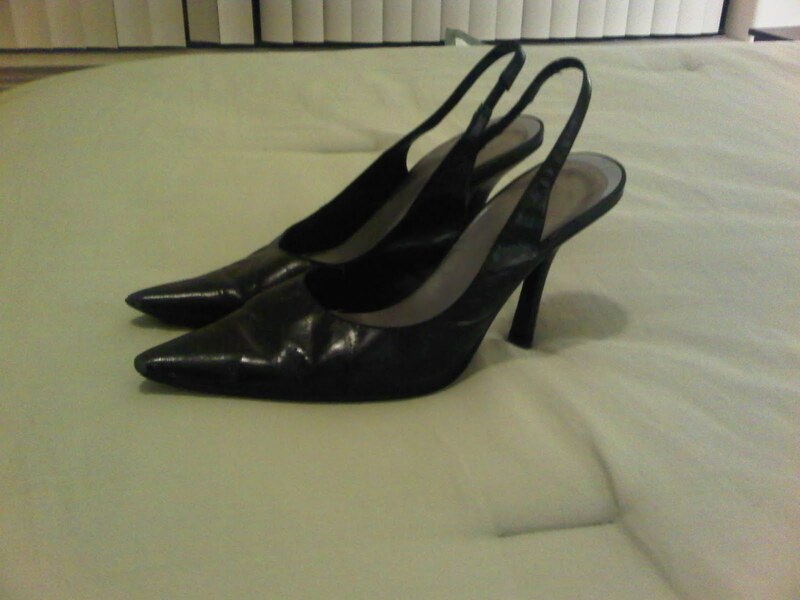 Meet my favorite black leather slingbacks. Nine West circa 2006-ish, these shoes have been with me for many years. They were there during those first few months of my new job, when I wore them in the Fall with a black pencil skirt and a pressed button-up, daring the chill in the air with my bare legs. They accompanied wrap dresses, interview slacks, and even Christmas Eve frocks. Each season, they were treated to new taps and tips from the cobbler, and came home looking almost new. 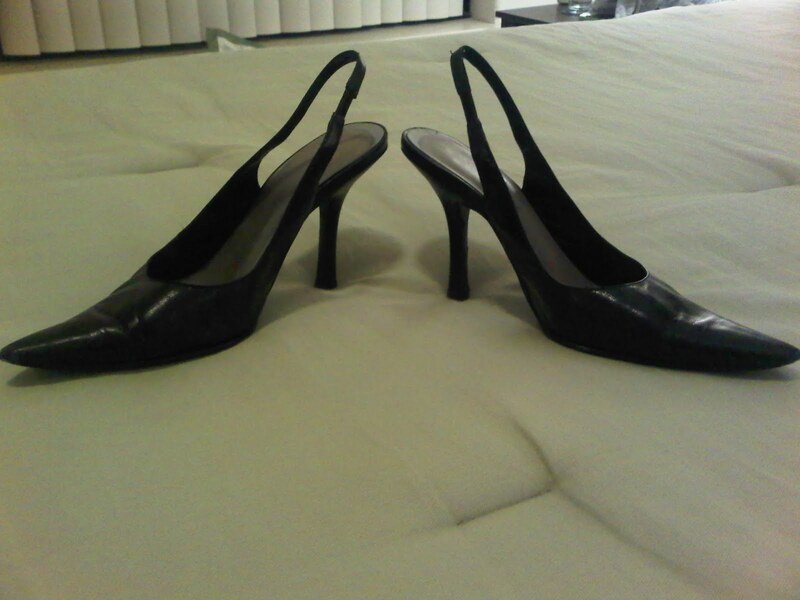 But today, these slingbacks are sad. 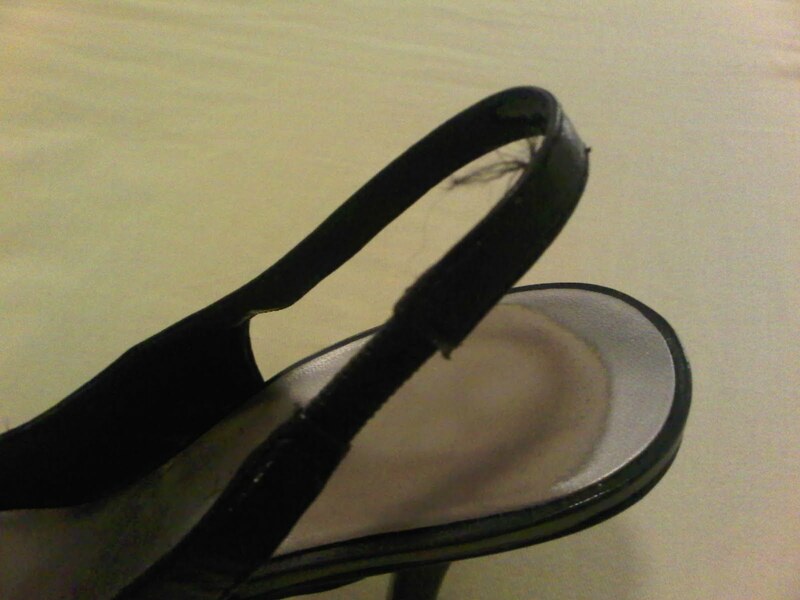 No amount of repair can fix the now torn leather and fraying straps. All support is shot in the arch. This weekend, they were retired to shoe heaven. 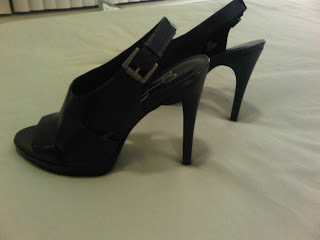 Enter, new slingbacks. 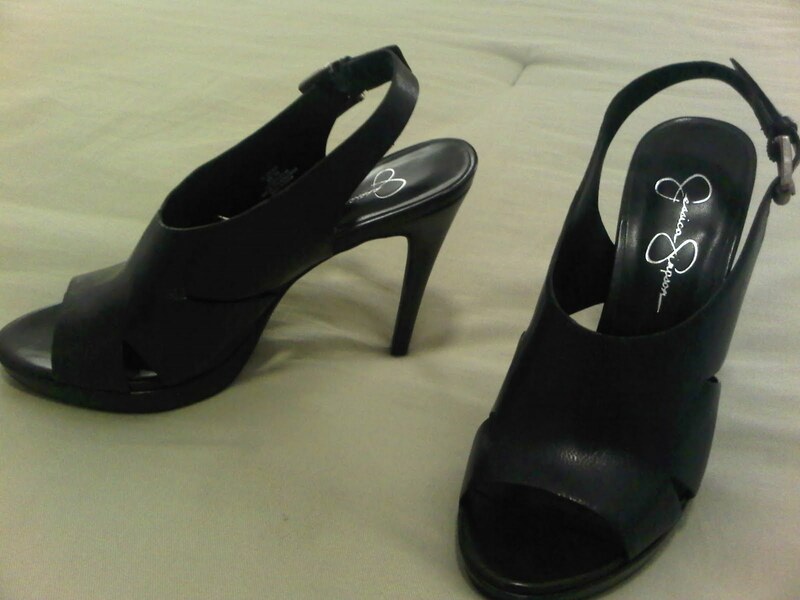 Updated by Jessica Simpson for 2010, with a sky-high heel and slight platform sole, these are made of the same familiar soft-leather and are available at a steal for only $45! These shoes have already seen me through many meetings and train commutes, even in just a few wearings. And the support, oh the support! Some day soon, they might even see wedding dancing, or a night at the club. They are that comfortable. For now though, they are taking the spot of the old slingbacks, both on the shelf and in the line-up for professional work attire. In the words of Carrie Bradshaw, "Hello, lover." Oh sure, tease me with a comfortable 4 inch black heel for only $45, NOW only available in 9.5:( wamp wamp. Oh well now I feel mean! I'm so sorry, aww. Piperlime deals come and go quickly apparently?! Oh and I meant to post pics of their packaging bc it was way cute - green and brown polka dot box with a little notecard in there too! Adorable.